Chapter 2 | Washington D.C.
Today we drove The Turtle to Richmond. This was a short over night stay so that Roberta could go to a doctor’s appointment Monday morning. We left Richmond Monday around noon and drove to Cherry Hill RV Resort in College Park Maryland. Our granddaughter, Davis who is five years old, wanted to go “camping” with us. We must be really nice people! I’m not bragging, I’m saying that because we have not met a single Airstream owner that isn’t helpful and friendly. Only time will tell whether or not our floor plan is the best one for us or if 28 ft. is the best length for us but we are certain that we made the right decision purchasing an Airstream. 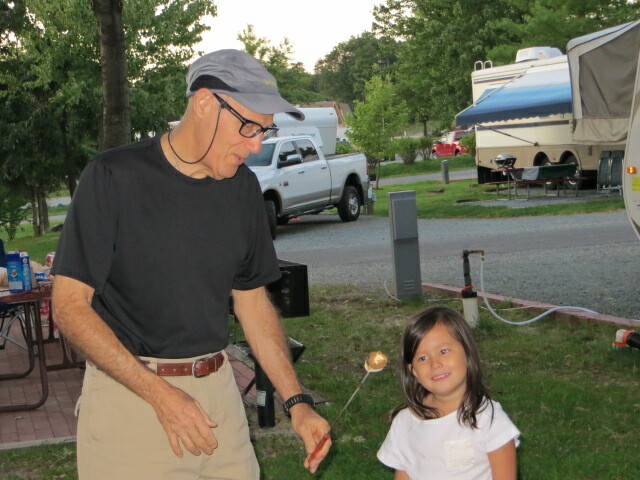 As an example of the type of people that own Airstreams: we were staying at Cherry Hill Campground outside of Washington, DC with our granddaughter. Davis tells people that she went “camping”. We have a picture of her asleep on the leather sofa in the air conditioned living room of our Airstream …… hmmm maybe in her mind she went camping. While at Cherry Hill Eddie could not get our awning to go up. Roberta saw another Airstream in the park. If you notice Airstreams on the road many have big red numbers on the front and rear, that means that they are members of WBCCI, an Airstream club. Roberta copied the numbers off of the trailer and Eddie looked them up in our WBCCI directory, got their name, and sent them an email telling them our problem. That afternoon our phone rang and the couple said that they would come buy and show us how to operate the awning. They were eighty-three years “young” visiting DC from Ohio and had owned their Airstream since 1987. They had many wonderful stories to share about places that they had traveled and lots of good information on Airstreams Trailers. They said that they would have called us sooner but they had been out sight seeing in Washington DC all day. This is only one example of the people that we have met in the less than two months that we’ve owned our Airstream. I could write three or four pages about other Airstream owners that have spent time sharing their knowledge of Air-streaming with us. We knew that Airstream Trailers were well designed and well built but what we did not know is that we had joined a group of wonderful Airstream people. Our time will come to “pay it forward” to new Airstream owners once we know what we are doing. 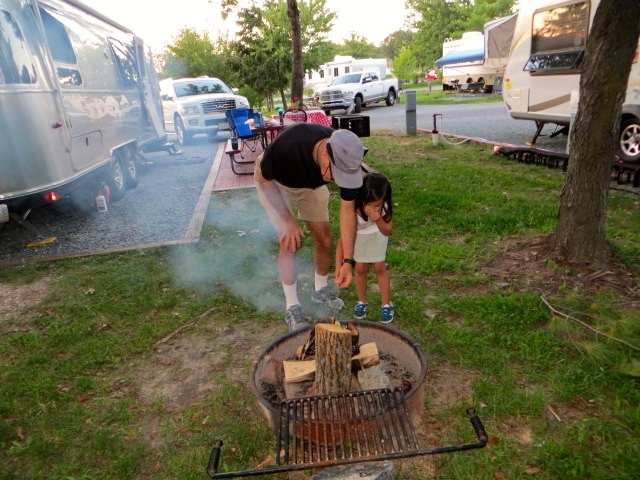 Cherry Hill is a great campground for kids and it is close to DC. Davis and Harris loved the swimming pool and the playground so we think this place will be a good option when we go to DC. We are now ready to take our next big adventure! ← Chapter 1 | A New Adventure!